Welcome at Teen Patti Raja! 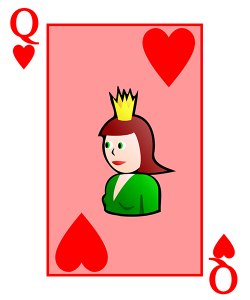 Our website equips you with the basic information on Teen Patti. Teen Patti is a popular Indian poker game that has grown to be a favourite for gamblers from all parts of the world. Our website does not only introduce you to the popular casino game. We also try to make your gambling experience a profitable one. Just like with traditional poker, Teen Patti demands more than just luck to win. If a player depends solely on luck to win, they may not maximize their winnings. We give you a few strategies to play and win. We give you strategies that have been proven to work on other players. Even if you are a recreational player who does not really care about making money, winning makes your experience more rewarding. It is a natural instinct for players to play to win. Even new players can implement a few techniques to make profits. All the top Teen Patti players do not rely exclusively on their experience or luck. They employ a few techniques that help them to win. We encourage players to understand how the game works before playing for money. If you are learning or just getting started, try to practice with your friends before you begin gambling. The simplicity of Teen Patti may give players the false confidence to start playing without much practice. That way, they may end up making losses. Take advantage of the free chips from Teen Patti. They offer the chips every day so you always have an opportunity to make some money and get practice. You can buy your Teen Patti chips from Facebook, Google Play, or the iTunes store. After you make your purchase, Teen Patti will process your request and approve it. If they do, then you will receive your purchasing order. The order will show the details of when you made your purchase. The chips may take up to 24 hours to reflect in your account. If you wait the period and still do not receive them, you may make a complaint. There are many variations of the game and they are all simple and fun. Whatever version of Teen Patti you choose to play will be simple and fun. Try out a few of them to determine which one you like the best. The variations keep growing so there will always be something new to try out. Once you understand the game, you may come up with your own variation. It is fun when you and your friends have your own variations. Each one of you could come up with their own variation to give you variety.